One year ago today, on January 12, 2011, I published my first blog post: My Story. 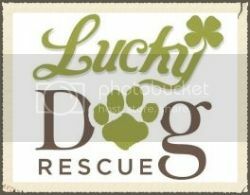 That day, Lucky Dog Rescue Blog was born. When I wrote that first post last year, I honestly didn't know if anyone would read it. As I poured my heart into every word, I wondered if anyone would care. And when I clicked "Publish" for that very first time, I thought to myself: "Good luck changing the world with this crap. Never gonna happen." It's funny... because I almost didn't start this blog to begin with. Sure, I've always been a writer, and I've always been a rescuer. And over the years, a lot of people have asked me to start a blog. But honestly, I always thought, "Hmm... not so much." Then, last December, a friend strongly encouraged me to do it, and she offered to build it for me. I distinctly remember saying, "I really appreciate it... but... well... it's just... I'm not a 'blogger.'" It's not like I thought a "blogger" was a bad thing; that certainly wasn't the case. I guess I just figured I wasn't one of them. Sure... the word-itself kinda freaked me out a little bit: blogger. It sounded a little weird, or silly, or ridiculous: blogger. I think it reminded me of the word: booger... and that's just not really something I wanna be associated with. But my friend insisted that I at least give it a try, and honestly... I didn't have much to lose. If no one reads it, oh well. And if even one person does... maybe it will inspire them in some way. Maybe. So... I said: "Okay. I'll do it." In coming up with a name for my blog, the choice was pretty obvious: Lucky Dog Rescue Blog. Then, I sat down to write my first post. I asked myself: "Who am I? And --more importantly-- why am I that person?" The answers to those questions would soon become my very first blog post: My Story. Before it was even published, I nearly deleted the whole thing. But instead, I asked a friend to read it first. This particular friend is not a "rescue friend." She's just a normal-person, non-animal-freak, friend of mine. So, I was a little worried that she wouldn't relate to it... or maybe... she just flat-out wouldn't like it. But I knew she'd be honest with me, so that's why I asked her to read it. Then, she called me in tears, and said, "Ash, it's perfect." I asked, "Are you sure? I just don't think anyone will want to read this thing." She said, "Just wait... your life is about to change." I remember laughing, and saying: "Yeah right. No one is going to read this crap, and my life will be exactly the same one year from today... as it is right now..."
When I look back on the last year of my life, I'm truly blown-away. Has this blog changed my life? Damn right it has. Has this blog changed a lot of people's lives? Amazingly... it really freaking has. As I've said many times, I honestly didn't think that anyone at all would read this thing. And even today, as tens of thousands of readers visit my blog each month, I'm still shocked that anyone at all even comes here. But... in just one year... more than 350,000 people have visited my dinky-ole blog, with well-over 550,000 page views. It's completely freaking unbelievable. Even still, I guess I didn't realize the impact of my blog... until people started to contact me. And not just any people... important people. Magazine people. Website people. Pet company people. People who love my work, love my writing, and for some crazy reason, love... me. And insanely enough, they wanted use their work... to feature my work. 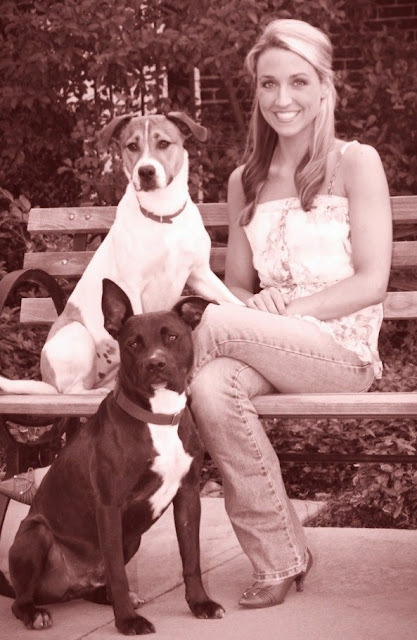 In just one year, Lucky Dog Rescue Blog has been featured in 5 national magazines: American Dog, Bella Dog, Life+Dog, Dog Fancy, and Cesar's Way (Cesar Millan, The Dog Whisperer). 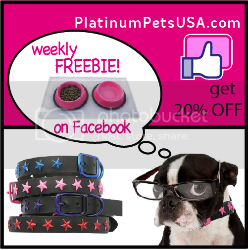 I've also been contacted by major websites, pet companies, and big-time news stations about my work. By documentary producers, respected animal activists, and some pretty big-name peeps. All of those people... are pretty-freaking-important people... who shouldn't even know who-the-hell I am. And yet... they are contacting me?? But more than any of that... it's the connection I've made with each of you that means the most to me. I've received thousands upon thousands of amazing emails, messages, and letters from all of you... with words that have moved me to tears. Words that have healed my heart. Words that have changed my life. "I just wanted you to know how much you've inspired me..."
"I just wanted you to know how much you've encouraged me..."
"I just wanted you to know how you've changed my life..."
"I followed my dreams, because of you..."
"I don't feel alone, because of you..."
"I saved a life, because of you..."
"I adopted, because of you..."
"I volunteer/foster/transport/donate, because of you..."
"I started a rescue... because of you..."
"You told me it was possible, and I believed you..."
"You told me I could do it, and so, I did..."
"You told me not to quit, so I didn't..."
"I thought it couldn't change, but then, you changed it..."
"It seemed like it was hopeless, but you gave hope..."
"I swore it was impossible, you made it possible..."
"I've never had a hero... but now I do. And I wanted you to know: my hero is you." When I started this blog one year ago, my greatest hope was that I'd inspire at least one person to get involved. Just one person. But I never could've imagined... that my words would inspire thousands. Hundreds of thousands. It's just more than I ever dreamed possible. Much more. If you don't believe that anything is possible, just look at me. If you don't believe that one person can make a difference, here's your proof. I'm your proof that anything is possible. I'm your proof that one person can do it. I'm your proof that the world can change. And for me... here's why that matters: Because, in proving that to you... I was able to prove it... to me. Honestly, it changed my life. My name is Ashley. I'm just a girl... in Mississippi... with a dream of changing the world. And look at what I did... in just one year. *From the bottom of my heart, thank you for making my dreams come true. One year ago you DID change the world with your amazing words. Happy One Year with many, many , MANY more to come! Love you! I love you, Joy! Thank you so much for all of your support this last year :) You're such an amazing friend!!! Congratulations on one hell of a year, Ashley!!!! You truly have made such a difference in SO many dogs lives AND so many people! I cannot wait to see where next year takes you...and I look forward to continue to be inspired by you all along the way! You rock!!!!!!!!!! 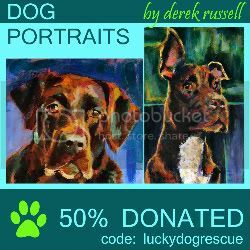 xoxo to Lucky dog rescue! I follow you on twitter and have ready many of your posts and stories and you are truly an inspiration, fantastic writer and most importantly the work you do for all of those furry babies is the most amazing and selfless thing I can imagine someone doing. WOW what a year! Ashley I'm one of those people you've inspired, I'd been "on the fence" about fostering for a long time, then I discovered your blog and read every single post in about two days. I thought, "wow, if she can do what she does..." Then in October of this year we took in our first foster, and we blog about our foster journey as well - all because I was inspired by your touching, heartfelt words. I thank you, and my foster babies thank you! Ashley, I have written you before... you truly ARE an AMAZING INSPIRATION to us all... You've shown us that it IS possible, to try and help the world, one animal at a time... You write beautifully, and you have an amazing, kind soul. You are truly beautiful on the INSIDE, as well as the outside!! I admire you immensely, and love reading your blogs. (It IS a weird name!). 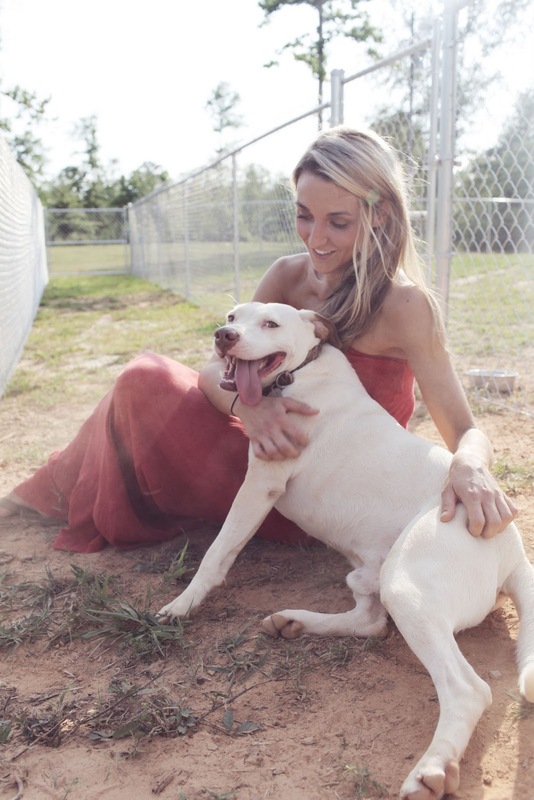 With you, so many helpless, abused, neglected, sweet dogs get a deserving second chance... at LOVE and HEALING. "One person may not change the world - but he/she can make a world of change to this ONE"
One at a time - we're changing the world - together. Amazing! Thank you. I am so glad you did this. You changed my life and many others. I love you & Lucky Dog and respect you so much but it has been 2 years right? 2010-2012?? YOU ARE AWESOME! You are doing something that I wish I were doing Ashley...someday I would follow your footsteps and join you in saving these wonderful lives! There isn't a post of yours I don't read. You have no idea how much I appreciate you and your blog! Congratulations, Ashley, on your one year anniversary. You really are an inspiration! I love reading your blog and am so happy that you plan on continuing. Your heart is huge. I emailed you once (okay, twice) regarding a dog that I had that was fear aggressive. You gave me some ideas and support that I could handle it. I appreciated it so much. Happy to say that the dog has been adopted by a trainer that loves him to death and has taught him manners. You keep doing what you are doing. You really are changing the world! You are absolutely incredible! God bless you and thank you for everything you do! Ashley, I have been reading and forwarding your blogs from the beginning. There are times when your blogs bring me to tears, days when they inspire me and days when they make my day. Thank you for all you do to rescue the voiceless dogs who through your blogs are able to tell their stories. Congratulations and thank you! I am so happy whenever I see you pop up on my email............you are the most inspirational person ever!!! You totally rock Ashley. Thank you for everything you do!! Happy Anniversary Ashley, GOD BLESS for everything you do. KEEP UP THE GREAT JOB YOU DO DAY IN DAY OUT!!! 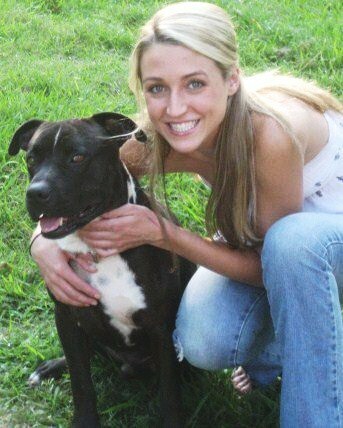 thank you ashley for all the great work u do on behalf of the animals. without u and people like u to hellp all of these poor animals find a place to go until they find a home and to get the word out there about some of these places that call them selves shelters, and getting the pics of the dogs and cats out there for people to see them and find them and adopt them. you are truely one of the angels in this world for these poor animals and all u do for them. lets see what we can all do next year to do our part to help these poor animals. I remember when I met you!!! You walked in my office, saw my pictures of my furbabies, and a friendship was started. I don't ever remember talking about work, but I do remember those awesome pens you would hook me up with! And then one day you walked in and I knew something was wrong. You showed me your necklace, told me about Rudy, and we sat there and cried for a while. I looked you up on facebook the day some girl walked in from that company and it wasn't you!! I remember saying, "Umm...where is Ashley?" lol! I'm so glad that we become friends! I love keeping up with you on fb and reading your blog. You are an amazing person!! Because of you, I have volunteered at a shelter, and adopted. YOU ARE AMAZING!!! Love ya girl! Lauren!!! OMG!!! I haven't talked to you in so long! I'm so glad you found me! I've missed you! Funny enough... about that job... I walked in one day and quit... so I could follow my dream. Best decision EVER. Even still, I've wondered how you're doing ever since! I totally remember that day... when we talked and cried about Rudy. You were the light in my day, every time I saw you. Thank you so much.. for being you! I miss you! Email me! luckydogrescueblog@gmail.com and let's catch up! I thank God for you ashley! I read your blog every time I see it in my yahoo account. You are an inspiration to all of us! From one pet advocate to another together we are changing the world one dog at a time I wish other's were like you and really want to make a difference. Congratulations Ashley. You have made a better world for all these dogs. Keep up the good work. I wait with bated breath for your updates and blogs. I always know that your story will inspire me. Thank you for all you do and for your blogs that get people off the fence. If you are ever down, feel free to vent and your army of followers will be there for you! Hi Ashley, I stumbled across your blog as I'm in the process of adopting a dog from Lucky Dog Animal Rescue in Washington, DC. Initially, I thought your blog was affiliated with them but once I starting reading, it became clear your not. You are an ABSOLUTELY AMAZING PERSON and have instantly become my hero! You ARE changing the world one person at a time. Thank you for speaking for the helpless, especially the Pit Bulls who are so unjustly maligned. You are an angel of hope, truth, and justice. Hang tough girl and continue to fight the good fight. God bless! I want you to know that your words really did make a difference. I love everything you are doing and all you stand for. Rescuing animals is not an easy task but you do it everyday and you find homes for these amazing creatures and you deserve a medal!!! I wish I could do what you do, and one day I hope too! Keep up the great work and you are easily one of my heroes! I wish you the best of luck as you continue to make wonderful changes in the lives of animals and people! Wow, Ashley. I'm glad for the miracles in your wonderful family. Thank you for all you do and the example you have set. As always, Ash, you are a God-sent angel.